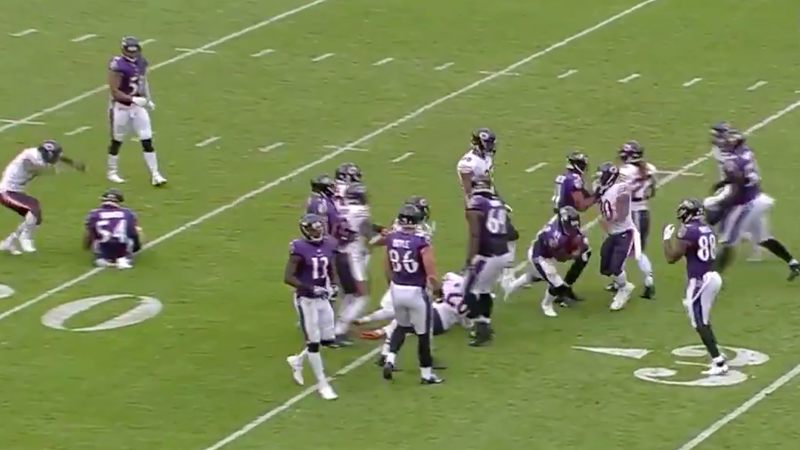 At first, the Ravens’ Bobby Rainey looked down before the 25 on just another ho-hum kickoff return. But Rainey got up after he was tripped by his own man, and without any whistles blown, he was able to accelerate past all the confused Chicago tacklers for a 96-yard score. That’s the first kickoff return touchdown for any NFL team this year, and even more than himself, Rainey has some very patient refs to thank.